It’s officially summer and for some of us that means creative projects get put on the back burner and beach trips are the focus. At least this is true for me! I am currently in the process of moving and clearing out my old home office/ studio. It is simultaneously the best and worst feeling. Organizing and sorting my bead hoard is exciting; I am finding so many awesome components and supplies that I completely forgot about. However it is also one of the most daunting, unending tasks I’ve ever tackled. Too many tiny messy things! As I am slogging through the debris at home, here at Xuron lots of progress is being made. We have been brainstorming and testing new prototypes; definitely one of my favorite parts of the job! 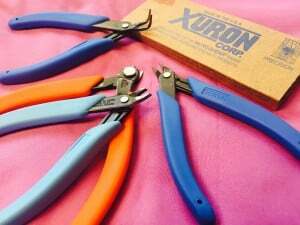 Xuron® tools are made differently than the majority of pliers/ wire cutters on the market. 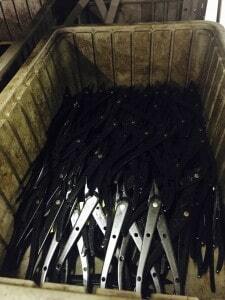 Most often tools are created by forging, Xuron’s steel is stamped out similar to a cookie cutter. We have different styles of stamped blanks. 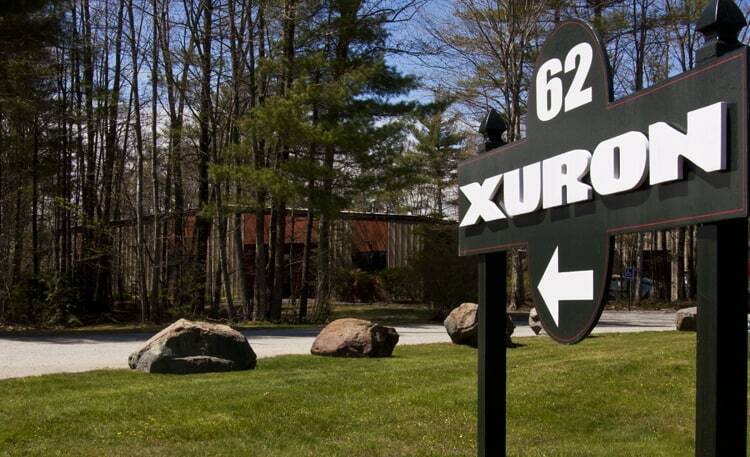 All of the Xuron® tools are made by modifying these styles. 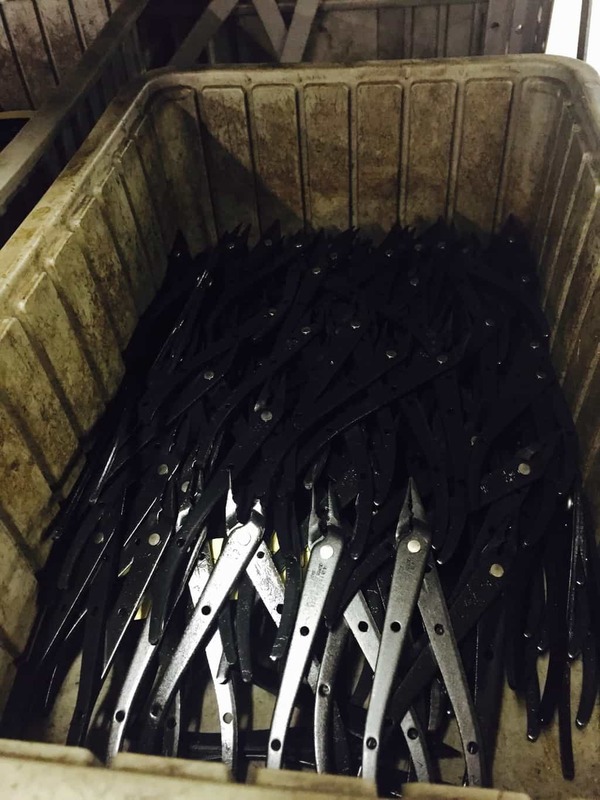 Once the blades of the tools are formed and grinded the springs and grips are added. After we dream up a new tool the next step is making a physical prototype. Having different blanks to work with can make this process a little easier. An appropriate blank is chosen and modified to the new specifications. If our new tool idea strays too far from what we currently offer we may not be able to produce it. Next it’s time to test. I am lucky enough to get to play with all the new goodies! We also bring new prototypes to shows and contact individuals that specialize in whatever the tool has been designed for. The Xuron Corp. headquarters in Saco Maine include both the factory and our offices. We all work closely together and love introducing new and improved tools to our awesome loyal customers! 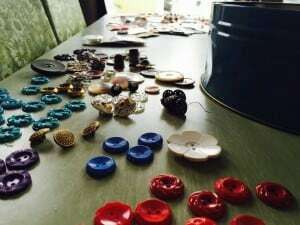 Most recently I brought a selection of prototypes to the Bead & Button Show in Milwaukee. We had a hugely positive response and are working to incorporate these new models into our product line. Keep your eyes peeled! I have been making jewelry my whole life. Growing up with an electrician for a father, I was always digging through boxes of scrap wire and metal bolts and bits. My grandfather was a general do-it-all man and his workshop was an incredible place. The hundreds of tiny drawers filled with washers, screws, doodads, and light bulbs amazed me. I inherited the family love of baubles and parts. I spent my college years attending The University of the Arts where I received a BFA in sculpture. In school I discovered my appreciation of the hand-held object and explored the connection we feel towards objects. 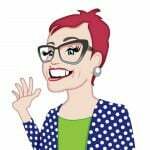 Until 2013 I worked at The Beadin’ Path in Freeport, ME where I was the head designer, taught classes, developed new products and traveled as a Sales Representative. 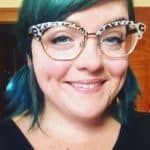 I was also a self employed jewelry artist and author. My book, Fiber & Cord Jewelry was published in 2015. 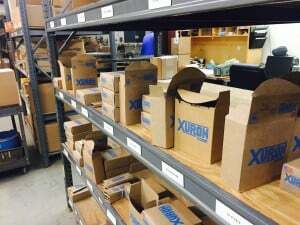 Today, I am the Marketing & Brand Manager for Xuron Corporation where I love getting my hands dirty helping with product develpment as well as creatiing marketing materials, traveling to trade shows, and connecting with the wonderful people who use our products.